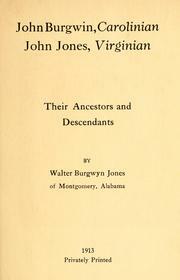 1 edition of John Burgwyn, Carolinian; John Jones, Virginian found in the catalog. Add another edition? 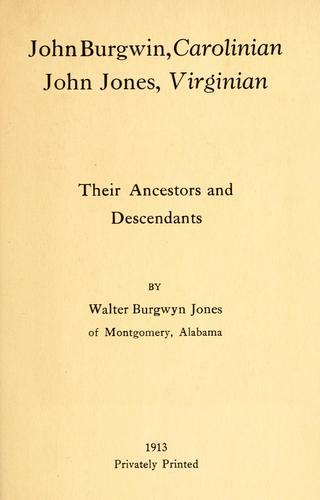 Published 1913 by Priv. print. in [Montgomery, Ala.] .